For being such a rainy place, gardening is a very popular pastime in the Seattle area. We’re in Zone 7 so we have a moderate climate and a surprisingly large number of plants are grown here, even palm trees! Evil spirits can only travel in a straight line so Fujitaro Kubota staggered his bridge to impede the spirits’ path. That’s just one of many fascinating discoveries at Seattle’s Kubota Gardens. The gardens blend traditional Asian accents with the vast array of Seattle’s plant life, yet the effect is far from conventional. The garden conveys Fujitaro’s flamboyant individualism tempered by the natural landscape. 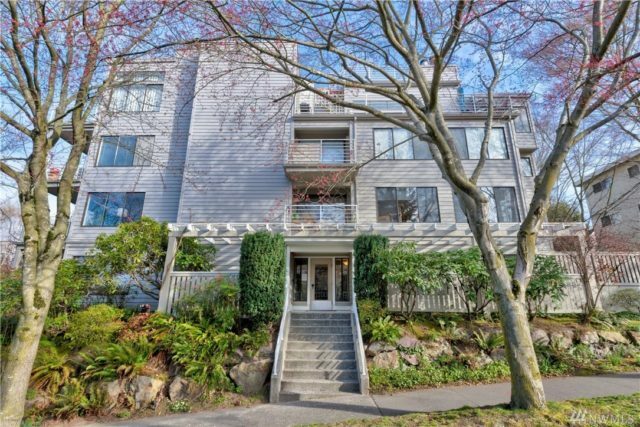 Fujitaro came to Seattle in the early 1900s and landscaped properties throughout the area. Washington ‘s official State Arboretum contains internationally recognized woody plant collections on 230 acres. Noteworthy are North America’s largest collection of Sorbus and Maple, the second largest collection of species Hollies and significant collections of oaks, conifers and camellias. When lumber baron Prentice Bloedel began his garden in the 1950s, he wanted it to be a place that captured the mystery and magic of nature. But decades later, the caretakers at the 150-acre reserve weren’t above giving nature a hand. One of the spectacular sights at Bloedel Reserve is the moss garden. Caretakers purchased several thousand sections of Irish moss, then cut them into one-inch squares for a total of 275,000 square inches of moss. Once planted, the Irish moss encouraged native mosses to grow in the area and now they all provide a lush carpet of greenery. The roots of the Carl English gardens are military but this historic collection is far from regimented. Carl English, Jr. began cultivating the garden in the 1930s when the Army Corps of Engineers brought him to the Chittendon Locks area of Seattle. He collected seeds from around the world and the caretakers there today are committed to preserving each of the 500 species of plants on display. Not only are there beautiful gardens here, the activities of the locks are a great pastime to watch on a sunny Summer afternoon. And, if you’re lucky, the bridge will come down and a train will pass over head. The author of the saying “Great fences make great neighbors” obviously didn’t have Sunni Rudd and Sharon Stevens in mind. These two south Seattle residents don’t believe in barriers, and to highlight their convictions they call their joint garden Strudd Park–it’s a combination of their last names. A tour of the garden includes a stroll past Shar’s calla lilies and peonies, and ends with an imaginative flowerbed that Sunni created from–what else–a bed! I recently sold this beautiful home for sale in Madison Valley in Seattle, within walking distance to the Washington Park Arboretum. Home overlooks huge oversized yard with Southern Exposure. There are a number of garden tours every year, in many communities around the Seattle area. Often, each neighborhood will have a garden tour, but it happens a different day every year. My favorite, because it’s fun and funky, is the Georgetown Garden Walk. Here are some photos of the Georgetown homes, yards and gardens that can be seen on the walk. 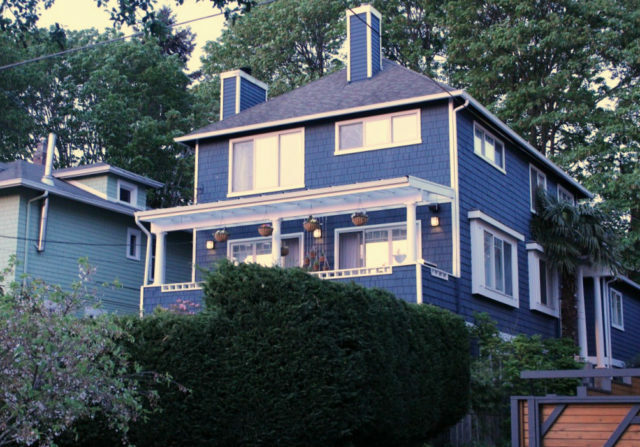 The West Seattle Garden Tour is a non-profit organization. They donate all proceeds to beneficiaries who provide educational and horticultural projects or community gardens. The Phinney Ridge Home & Garden Tour provided the opportunity to visit five neighborhood homes that have been remodeled and five urban gardens to inspire summer projects. A tour that usually consists of 5 homes with beautiful gardens. The Wallingford Home and Garden tour is a fundraiser and is a self-guided tour. The Bellevue Botanical Garden is 36 acres of rolling hills, undisturbed woodland, meadows, pristine bogs, and display gardens. Maybe it’s not as fancy as these others, but an equal amount of love went into it! A wholesale nursery with beautiful display gardens. They continue to develop the garden which features bamboo integrated into a landscape of many other plants and trees. Boo-Shoot Gardens is their first love and each year it becomes more and more majestic. The horticulture center has greenhouses, gardens, meeting halls, a Master Gardeners office and a library that is open to the public and quite popular with local gardeners. The center hosts plant sales, seminars and weekly gardening clinics. Horticulture students and staff also manage the plant collection at the nearby Washington Park Arboretum. Located in Orting, Washington, just one hour south of Seattle, is a special 4 1/2 acre garden. 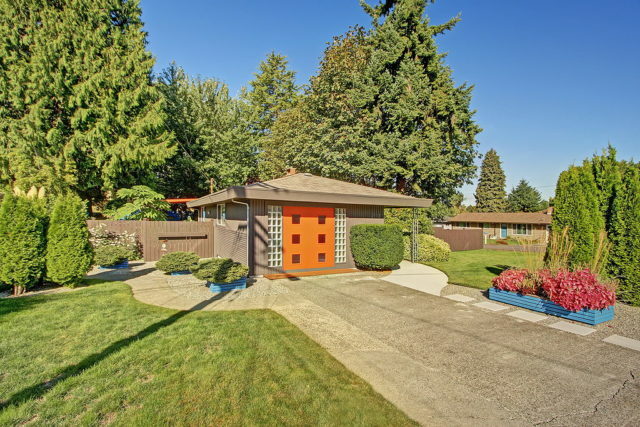 It sits on a bluff that overlooks the Puyallup River Valley with a spectacular view of Mt Rainier. Edward Bernard Dunn, the second child of Arthur and Jeanette Williams Dunn, converted the garage building into his residence in 1947. He immediately began creating a woodland garden on the 2.5-acre site where the garage and vegetable garden had been; he tended this garden until his death in 1991. An enthusiastic gardener and prolific garden writer, Edward Dunn was respected as an authority on Pacific Northwest native plants. He was president of the Seattle Arboretum Foundation from 1957 to 1960, and guided the development of its Japanese Garden. He also served as president of the American Rhododendron Society from 1965 to 1969, and was awarded that organization’s Gold Medal in 1972. A founding member of the Species Rhododendron Society, he served as its president in 1971. The woodland garden reflects Ed’s love of plants. The richness and diversity of the plantings are reminiscent of William Robinson’s English woodland gardens. The collection includes rhododendrons, specimen flowering trees, and woodland plants such as erythroniums and trilliums, sited beneath a canopy of fir and deciduous trees that remain from the original garden. History awaits the visitor at this old growth forest. The Highline Botanical Garden Foundation was originally formed to save and rebuild Elda Behm’s ‘Paradise Garden’, which was imperiled by the proposed expansion of SeaTac Airport. The project has been expanded to build a full-fledged botanical garden for the Highline community, incorporating Elda’s Paradise Garden as a central element. The Kruckeberg Botanic Garden at Richmond Beach, in Shoreline, Washington, is dedicated to fostering and providing educational, cultural and aesthetic enrichment for people of all walks of life living in our region, especially gardeners, amateur and professional horticulturists, and young students of the plant world. Mareen and Arthur Kruckeberg amassed the Garden´s four-acre plant collection over many years. It is rich in variety, both of native plants of the Pacific Northwest, and exotic species from other lands. Meerkerk Rhododendron Gardens, on Whidbey Island, is a not-for-profit garden open to the public. The gardens encompasses ten acres of display and educational gardens enveloped by forty-three acres of woodland preserve with nature trails. Friends of Meerkerk memberships, plant sales, admission donations and contributions combine to care for the Gardens. The Pacific Rim Bonsai Collection is an outdoor museum of living art, featuring more than 50 outstanding bonsai elegantly displayed in a beautiful woodland setting. Bonsai from six Pacific Rim nations — Canada, China, Japan, Korea, Taiwan and the United States — grace the tropical conservatory and outdoor exhibit area. The Rhododendron Species Foundation is home to one of the largest and finest collections of rhododendron species in the world. Conveniently located between Seattle and Tacoma, in Federal Way, Washington, this non-profit nursery and garden flows and spills lovingly over 22 acres offering a breath-taking diversity of form, size, leaf and blossom. The Garden is open year round and is beautiful in every season. Purchase of plants, seeds and pollen can be arranged worldwide to members and non-members alike, though membership provides special benefits. Enjoy shopping in the gift shop and plant pavilion, and visit the Pacific Rim Bonsai Collection adjoining the garden. Roozengaarde’s two and one-half acre show garden promises to transport you into the “Old Country” with its windmill and gorgeous living displays, especially during Tulip Festival. Located in the Skagit Valley in Washington. The Seattle Chinese Garden is being designed in collaboration with Seattle’s sister city in China, Chongqing. The garden’s classical design will balance the four essential elements of a Chinese garden–water, rocks, plants and traditional Chinese architecture. The Song Mei pavilion and demonstration garden with more than 100 plants native to China and many examples of rare bambo varieties, offers a preview of the future six acre garden design. When completed this garden will be a refection of the Sichuan Province landscape and the pavilions, teahouse, courtyards and large lake will create an experience of being in China without leaving Seattle. The Garden will be open to the public to be enjoyed by all as a venue for educational and community programs, Chinese festivals, family celebrations, and a daily attraction activity. Wright Park contains the Seymour Botanical Conservatory, a 1908 Victorian structure with a large collection of tropical plants. Located on the campus the University of Washington in Seattle, the Medicinal Herb Garden is a resource for herbalists, medics, and botanists of all levels. Looking for homes with beautiful gardens? Please allow me to be of assistance. 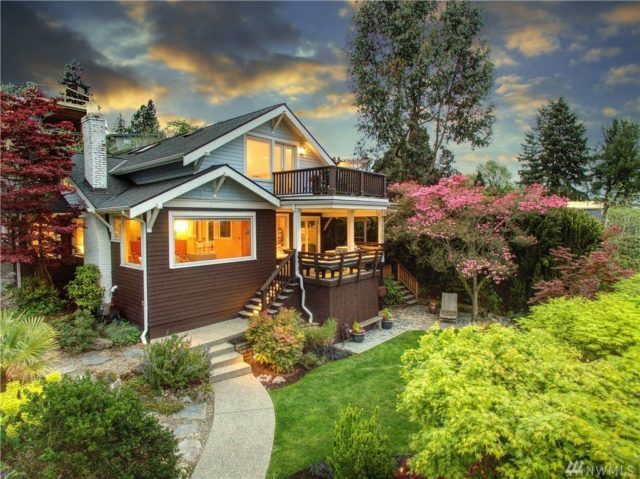 To search for all homes for sale in Seattle, please see my website SeattleDreamHomes! If you are looking for a home with a beautiful garden or have a home to sell, please contact me for a consultation. 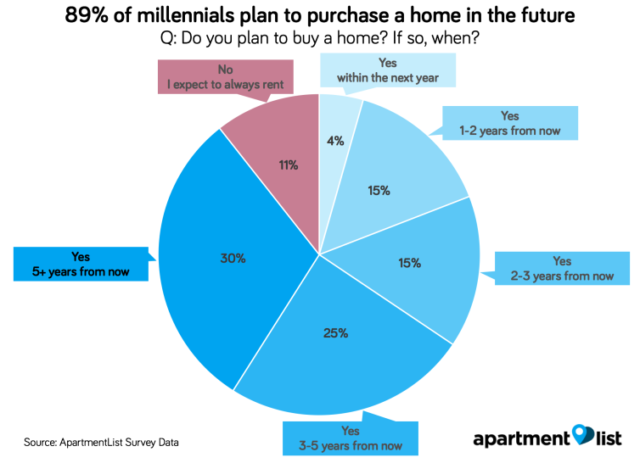 I have over 20 years in residential real estate experience. Please contact me.